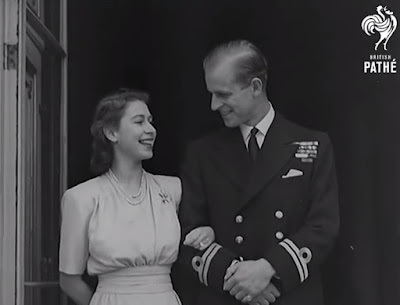 It's been seventy years since The Queen and The Duke of Edinburgh announced their engagement. Seventy! First confirmation of the engagement came in the Court Circular on July 9, 1947, where an announcement read: "It is with the greatest of pleasure that The King and Queen announce the betrothal of their dearly beloved daughter, The Princess Elizabeth, to Lieutenant Philip Mountbatten, R.N., son of the late Prince Andrew of Greece and Princess Andrew (Princess Alice of Battenberg), to which union The King has gladly given his consent." On July 10, the happy couple made their first official public appearance together. Pearls, a brooch, and The Duke of Edinburgh by her side: some things never change.